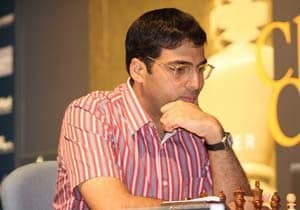 Chess legend Vishwanathan Anand is not too concerned about the suspension imposed on the IOA by International Olympic Committee as he feels the ongoing dispute is "more of a legal argument" which can be sorted out in due course of time. 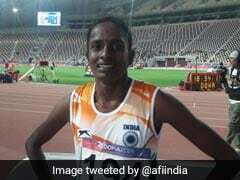 The World Champion heaved a sigh of relief about the fact that there isn't many international sporting activities lined up for Indian athletes in the upcoming months, which means all the concerned parties will get ample time to sort out the issue. "It's good that it (the suspension) happened after the (London) Olympics. Frankly speaking, I am not too worried because there are solutions for Indian athletes even if the suspension remains. 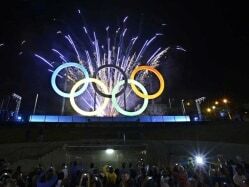 If they are good enough, they can compete under the IOC flag," Anand said here on Wednesday. "Next Olympics is three years away and there is plenty of time for the next Asian Games also. So, there is time to fix the issue which is more of legal argument. It can be managed. "So, let's not lose the focus on the training of the athletes and what organisations like Olympic Gold Quest are doing for Indian athletes," he added. Talking about his next year's plans, Anand said: "I have a lot of tournaments lined up in the first half of the year. I have a full calendar till June. In general, I want to play well and a lot of chess this year because last year I player very little," he said. London Olympics bronze medallist woman boxer, M C Mary Kom too hope that the stand-off between IOC and IOA will sorted out soon for the betterment of Indian atheltes who, accorring to her, are the real sufferers. "I am really worried and upset. As a sportsperson, you don't want these issues because an athlete can concentrate on his or her training," said, Mary Kom, who won the sopecial achievement award. "I hope higher authorities will bring an early and good solution to this problem."